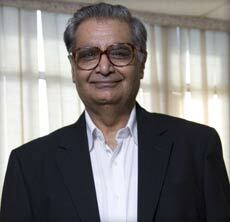 B D NARANG was chairman and managing director, Oriental Bank of Commerce, from July 2000 till April 2005. Narang was alternate chairman of the Committee on Banking Procedures set up by Indian Banks' Association (IBA) in 1997-98. He also chaired a panel on serious financial frauds appointed by the RBI and also headed the panel on Financing Construction Industry appointed by the IBA. He was chairman of the Governing Council of National Institute of Banking Studies & Corporate Management, besides being chairman of the IBA's Advisory Committee on NPA Management, CDR Mechanism, DRT and ARC. DHIRENDRA SWARUP is member-convenor of the Financial Sector Legislative Reforms Commission (FSLRC). He retired as chairman of the Pension Fund Regulatory and Development Authority in 2010. Prior to this, he was also involved in drafting of the FRBM Act, 2003. 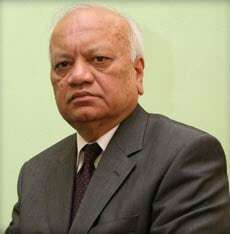 He served as Secretary (Expenditure & Budget) in the Ministry of Finance from 2004 to 2005. He has also served as a member of the Sebi board. He was vice chairman of the International Network on Financial Education, Organisation for Economic Co-operation and Development (OECD), from 2007 to 2009. Swarup will be chairman of the jury. GHYANENDRA NATH BAJPAI is former chairman of the Securities and Exchange Board of India (Sebi) and chairman, Life Insurance Corporation of India (LIC). Bajpai has been chairman of the Corporate Governance Task Force of International Organization of Securities Commissions and chairperson of the Insurance Institute of India (III), a counterpart of the Chartered Insurance Institute, UK. At present, Bajpai is non-executive chairman and non-executive director of several companies in India. He is also on the Board of Advisors of the Indian Army Group Insurance Fund and the Governing Board of the National Insurance Academy. 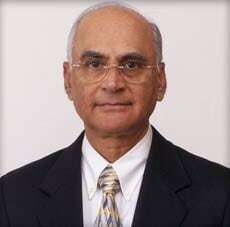 M V NAIR is chairman, Credit Information Bureau (India) Ltd. Prior to this, he was CMD, Union Bank of India and Dena Bank. He was also chairman of the Governing Board of Institute of Banking Personnel Selection, a member of the Governing Council of IDRBT, as well as a member of the National Institute of Bank Management. He headed the panel set up by the RBI to suggest revised guidelines for priority sector lending classification. Nair was also chairman of the IBA for one year beginning June 2009. He was also a member of the Damodaran Committee on customer service and the Khandelwal Committee on human resources issues of government banks. NARESH TAKKAR is managing director and chief executive officer of ICRA Limited, an associate of Moody's Investors Service. He is also vice chairman of the Asian Development Bank-sponsored Association of Asian Credit Rating Agencies. Takkar has led ICRA's teams for developing analytical criteria for various sectors, including banking, project finance and structured finance. He has also led ICRA's teams for rating many first-time transactions in India, including the first future flow securitisation, collateralised debt obligation and partial guarantee structure, in addition to spearheading ICRA's initiatives in introducing concepts such as corporate governance rating in the domestic market. Besides, he has a vast experience of rating assignments in diverse areas, including banks, non-banking finance, power, telecommunications, roads and real estate. 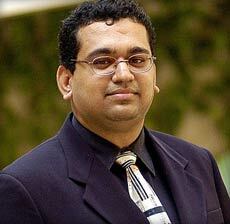 RANJEET S MUDHOLKAR is managing director of Financial Planning Corporation (India). 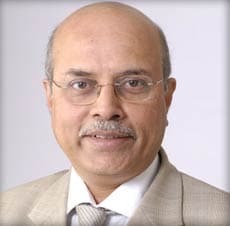 He also serves Financial Planning Standards Board India as vice chairman and CEO. In the past ten years, he has led the transformation of FPSB India, from its early inception as the Association of Financial Planners in 2002. In 2009, he served as chairman of the Asia-Pacific Forum, comprising Financial Planning Standards Board Ltd (FPSB) affiliates. He currently serves as a member of the Nominating Committee for selecting candidates for the 2013 FPSB Global Board of Directors. Besides ensuring that the vision and goals of successive boards are well executed, he has been responsible to ensure the growth of the organisation while keeping all the stakeholders aligned. He is also Editor of the Financial Planning Journal. SHAILESH HARIBHAKTI is a fellow chartered accountant and chairman of BDO Consulting, the Indian member-firm of the worlds fifth largest accountancy network-BDO International. As managing partner of Haribhakti & Co, he is deeply involved in auditing, risk advisory services and tax services. 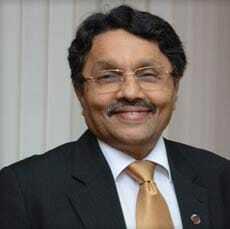 He serves on the board of over ten large Indian companies and chairs several audit committee meets. He has also been involved in forensic engagements on behalf of government and leading business houses. His prior experiences include stints with the Chicago office of Arthur Young & Co (now merged with Ernst & Young) and a three-month consulting assignment in Poland with Polish Business Advisory Services (PBAS) in the areas of activity-based costing and global strategic planning in Polish enterprises.